(P1) Yahoo gave no update on attempts to sell its core internet business as the firm slumped to a $440m (£332m) loss in the second quarter. (P2) Investors are likely to be disappointed by the lack of an update on the sale of its search and advertising operations. (P3) Chief executive Marissa Mayer said only that the board had made “great progress on strategic alternatives”. (P4) Yahoo reported a $60m rise in revenue to $1.3bn for the three months to June. The increase was mainly generated by its core internet business, although mobile revenue jumped from $252m to $378m. (p5) Much of the speculation about Yahoo’s future is centered on Verizon, the telecoms giant that recently bought AOL, another faded internet star. (P6) AT&T and a partnership between Quicken Loans founder Dan Gilbert and billionaire Warren Buffett were also thought to be in contention. 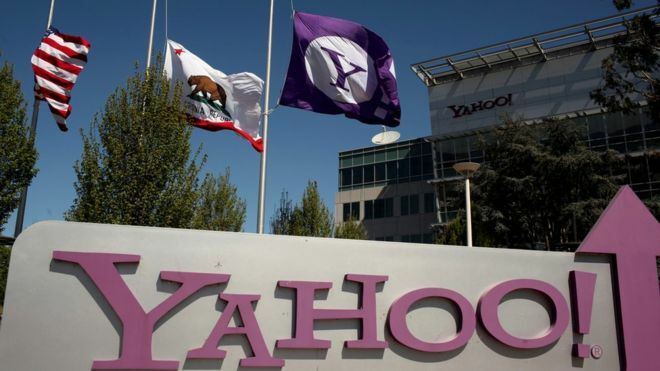 (P7) Yahoo could announce a buyer by the end of the month, according to some reports. It remained unclear how much Yahoo might fetch, with estimates ranging from $5bn to $8bn. (P9) Shares rose 0.6% to $37.95, valuing the company at $35.8bn. Much of that sum is due to Yahoo’s stake in Chinese e-commerce giant Alibaba. (P10) The future of Yahoo has been in question for several years and Ms. Mayer has made little progress in returning the company to profit. (P11) Her plan to spin-off Yahoo’s stake in Alibaba was scrapped last year in favor of selling the search and advertising business. (P13) In February Yahoo cut 15% of its global workforce. (P14) The company faced another hurdle last week after a report alleged many of the company’s technology patents were flawed, lowering their value. Why do you think Yahoo is not profitable anymore? Who do you think would be a good buyer of Yahoo? Why? If you had the money to invest into one technology company, who would it be and why? Who is the CEO of Yahoo? What percent of Yahoo’s employees lost their jobs in 2016? What other problem is Yahoo facing that’s decreasing its worth?